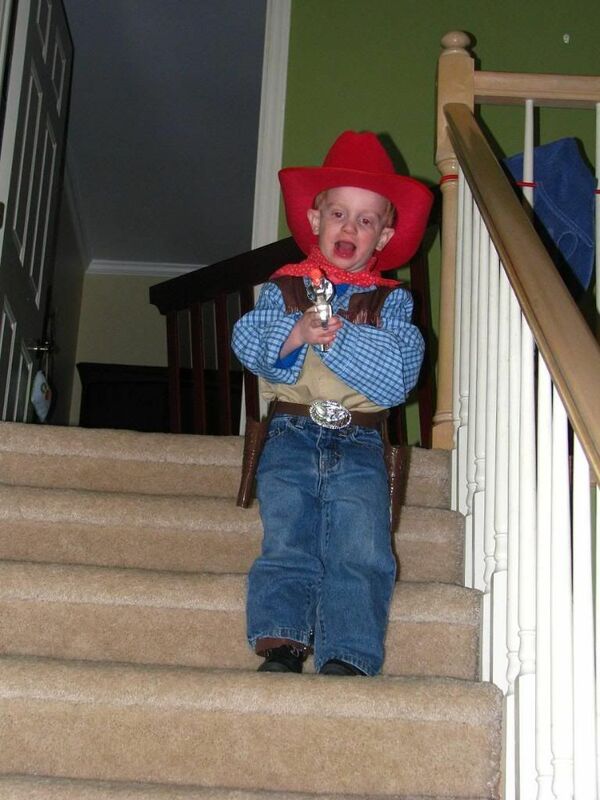 So Evan has been obsessed with cowboys and their stuff for a while--probably because of his favorite shows Backyardigans and Dora. 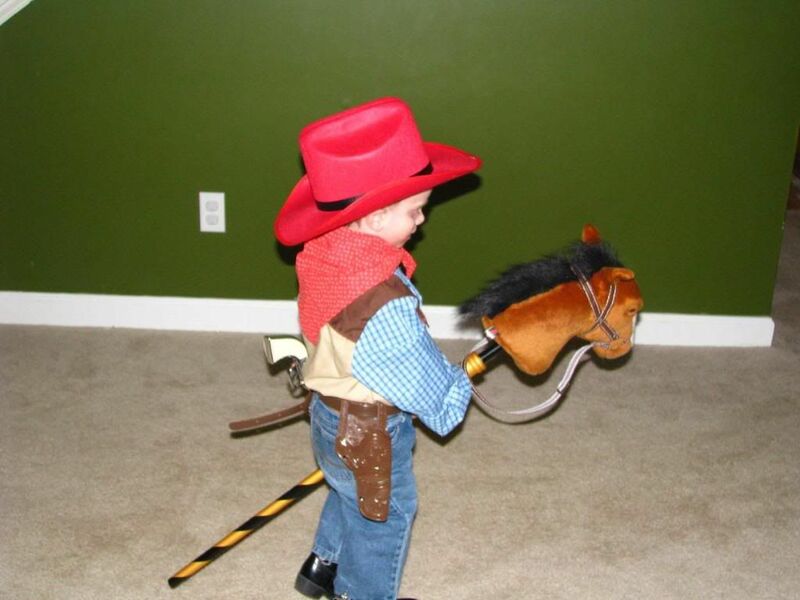 As a result, Aunt Naomi had to load him up with all the cowboy accessories he could ever want, including guns, and Aunt Jessica and Uncle Paul gave him a cool Melissa & Doug stick horse to ride! 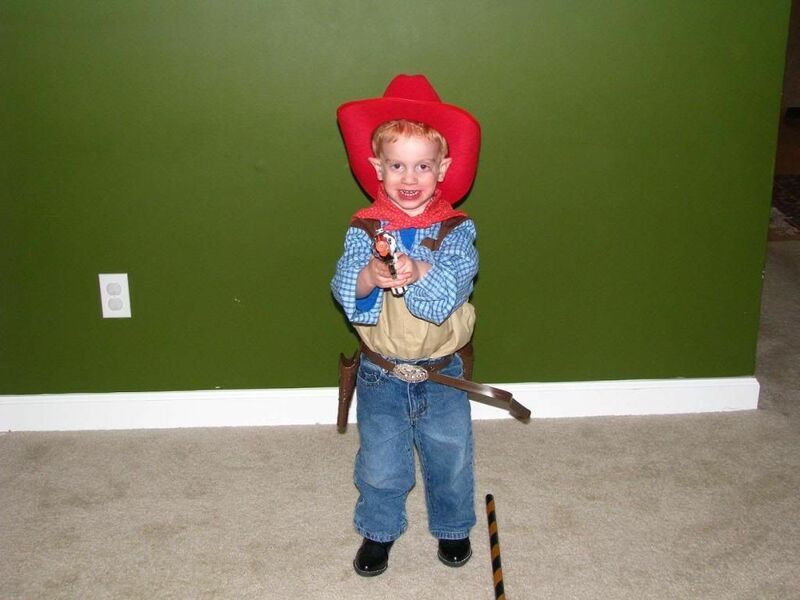 Eddie is a big believer that teaching kids to "respect" guns at an early age is very important so that when they are older and may come into contact with the real things, they will not be in a dangerous situation. I have come to agree with his reasoning as I know that the kids who usually do get hurt from firearms are those who do not know what guns are and what they can do. So for now, it all looks like fun and games, but we hope that we are teaching him to "respect" guns too! 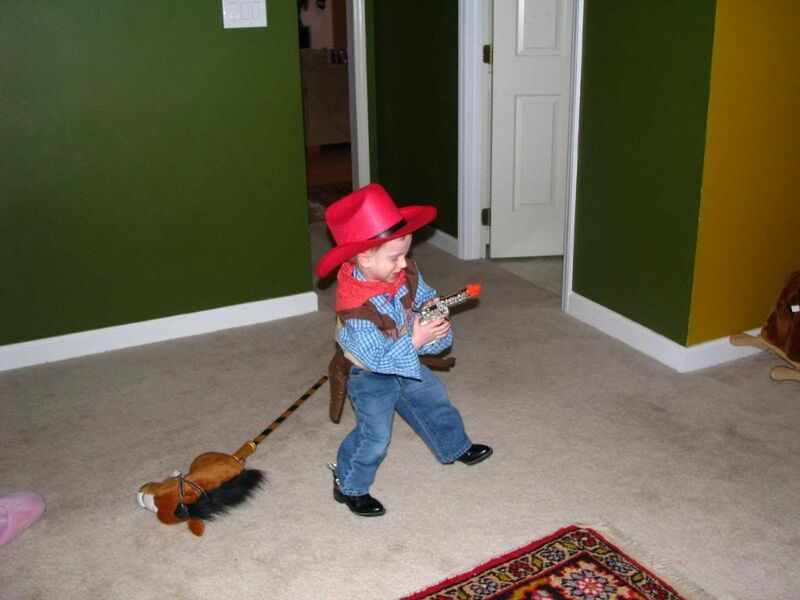 "I'm the Sheriff in this here town. There ain't room in this town for the both of us!" Ridin' into town on his good ol' trusty steed! "Don't make me have to shoot you, bandit!"